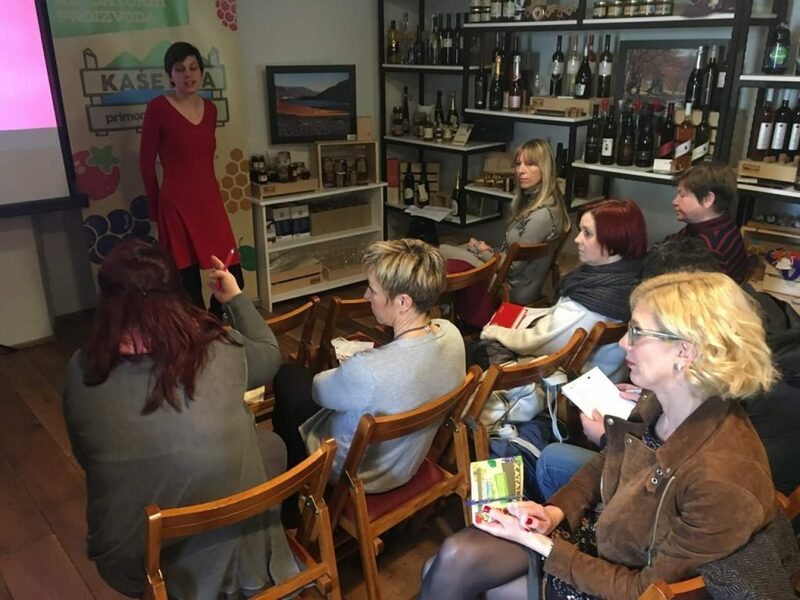 The 2nd Croatian ERASMUS+ FOODBIZ workshop, held on 14 th of February 2019 was organised in partnership and in the premises of “Primorsko – goranska Kasetica” a regional public institution charged with promotion of local and regional autochthonous food products. 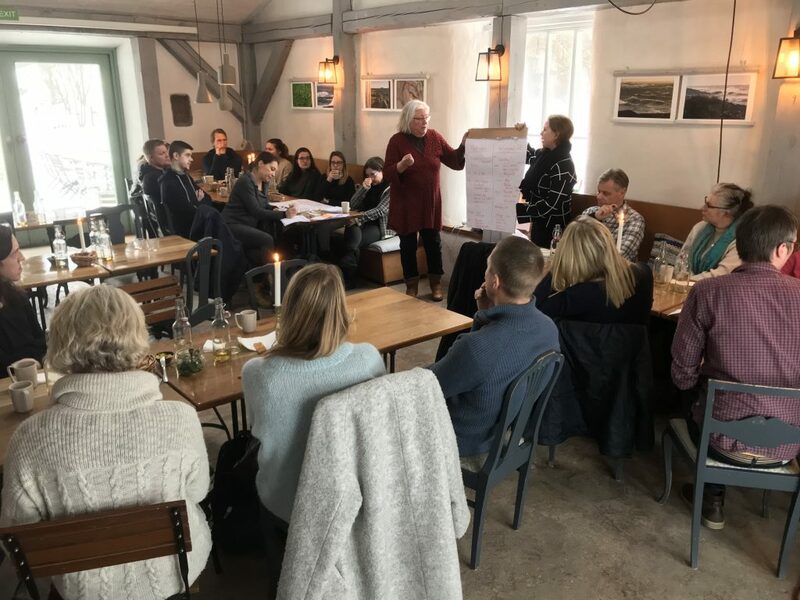 The workshop was attended by over 40 participants, among which were researchers, students, local producers of food as well as experts from areas of business consulting, design and marketing. 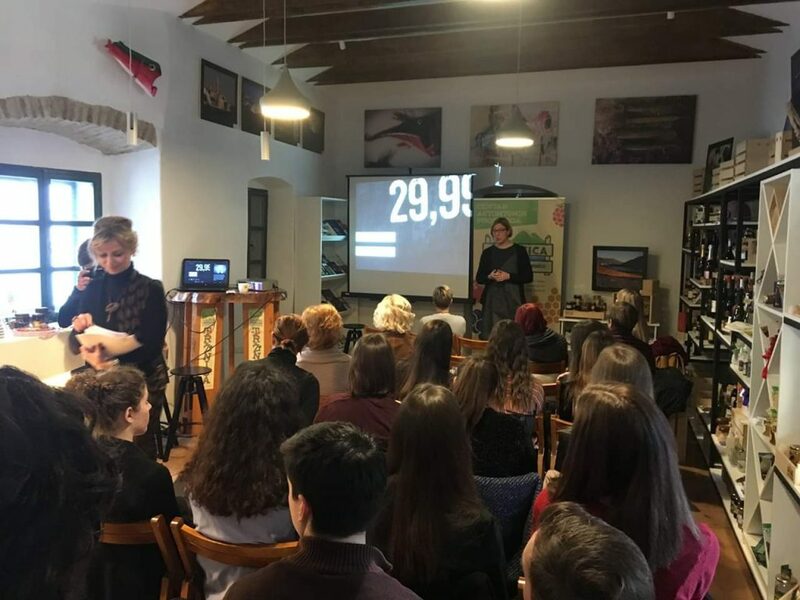 At the very beginning of the workshop the students presented the results of their own research of food souvenirs in Primorsko – goranska county with the main result that the island of Krk is most advanced in terms of visibility of autochthonous food as a souvenir. 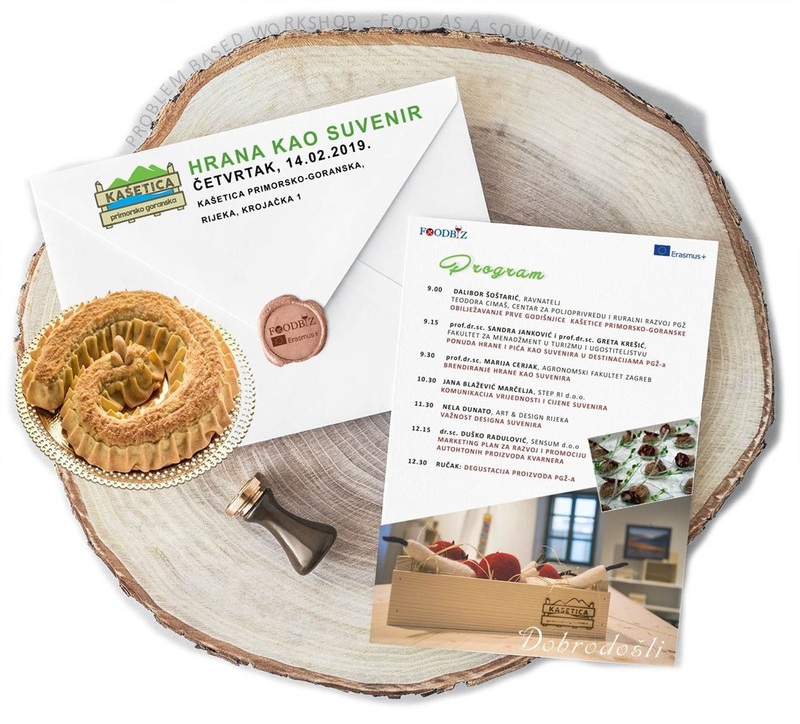 After the student research results discussion, prof. Marija Cerjak from University of Zagreb followed with a lecture on importance of locally grown food as an additional motivation for food products purchase. 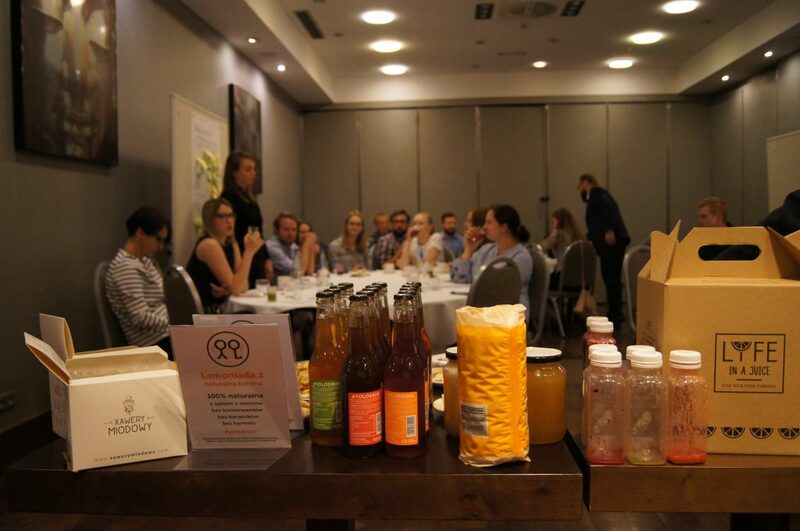 Emphasising the importance of European quality and origin certification of food products. 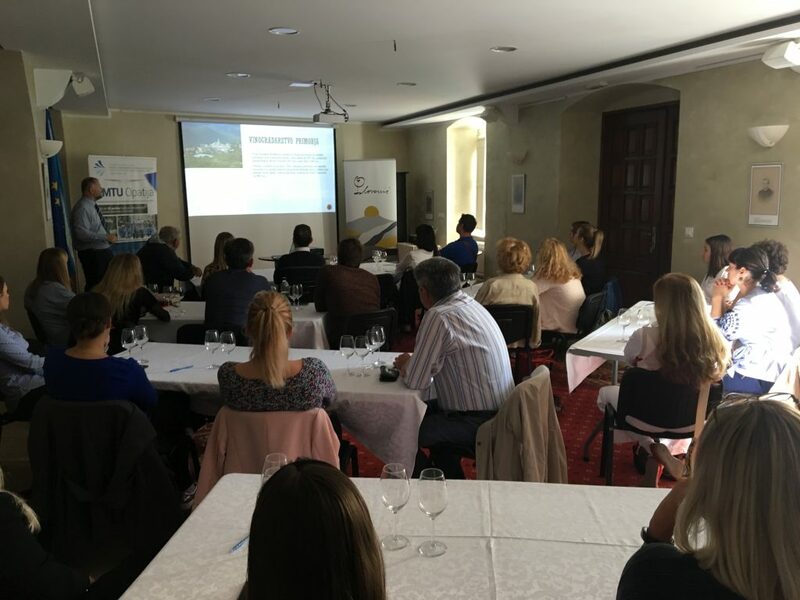 Jana Blažević Marčelja from STEP RI Science and Technology Park of University of Rijeka held a lecture on strategic pricing of food as a souvenir, along with optimal price setting recommendations grounded in the Rational Choice Theory framework. 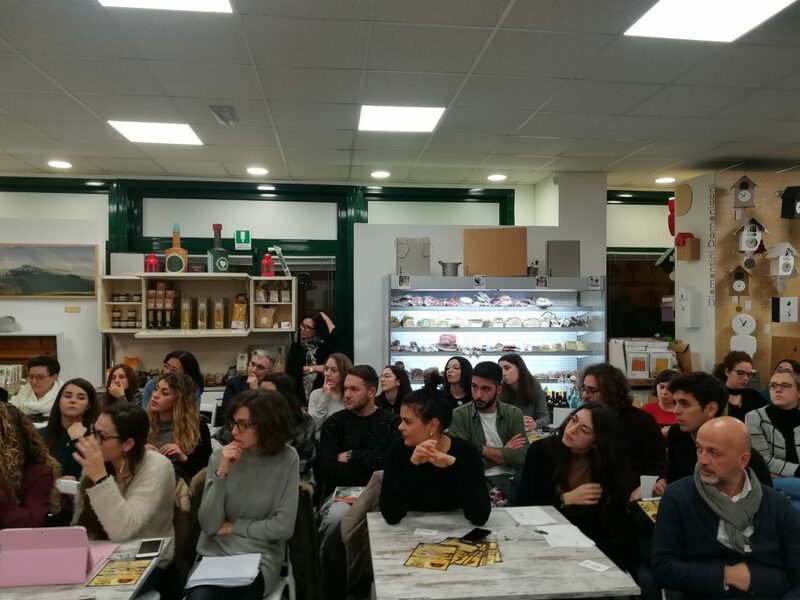 Designer Nela Dunato concluded the workshop emphasizing the importance of product labels design with a demonstration of good and bad label design solutions of food as a souvenir. 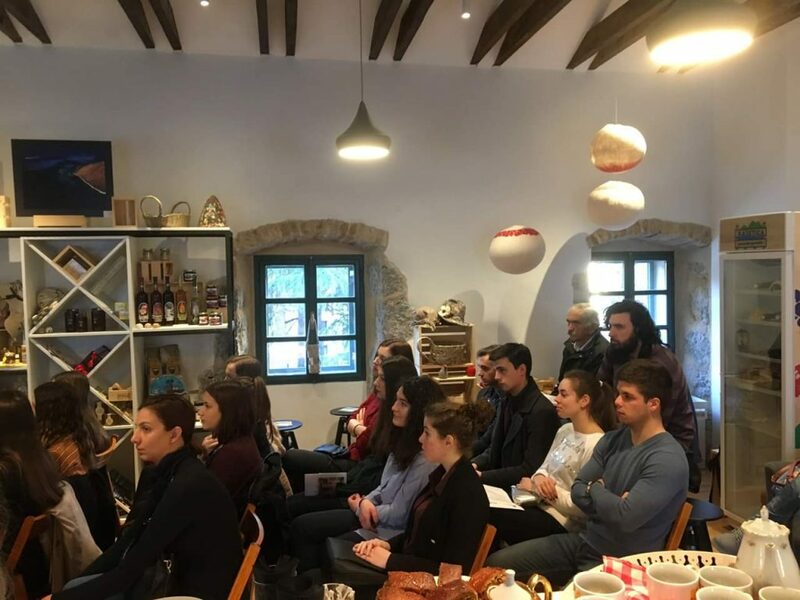 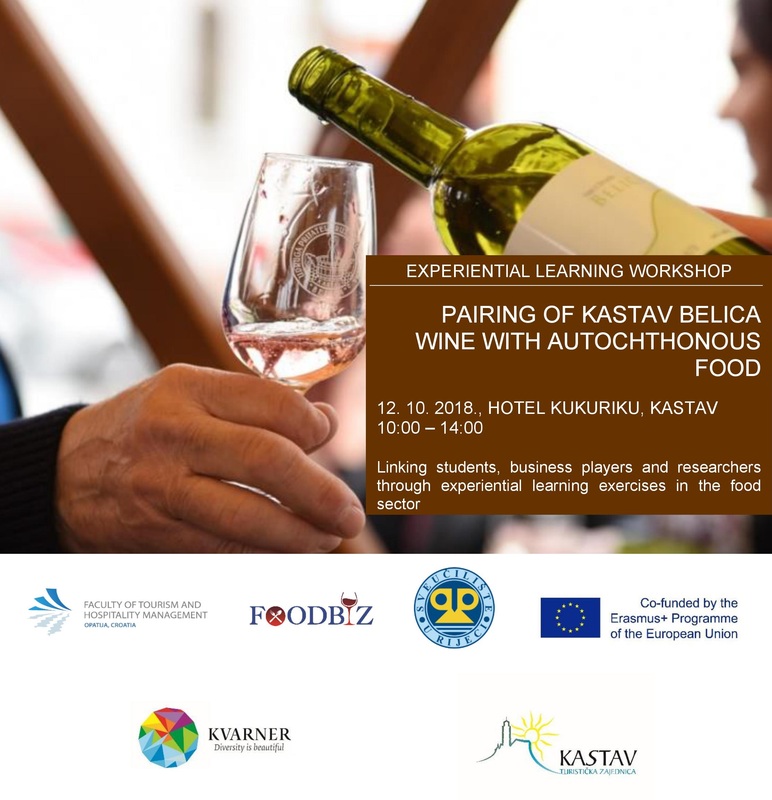 The 2nd ERSMUS+ FOODBIZ Problem Based Learning Workshop Croatia was based on concepts of co-creation and joint learning between students and business players in an interdisciplinary environment. 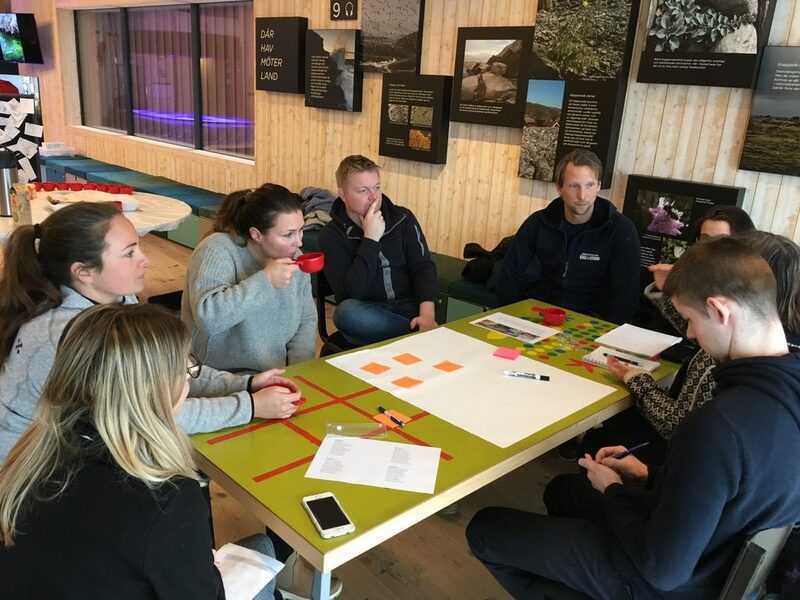 The University of Gothenburg and Svinesundskommittén organized the Problem-based Workshop on food tourism in National Parks under the aegis of FOODbiz project. 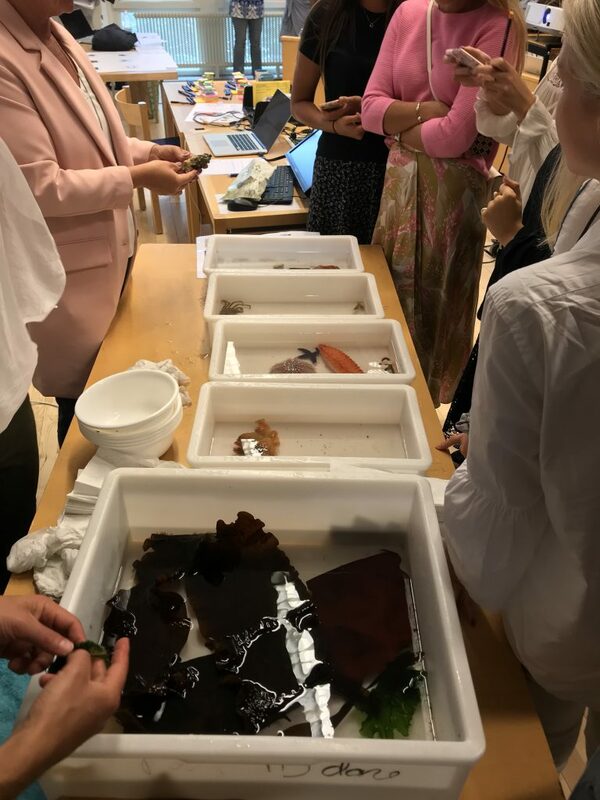 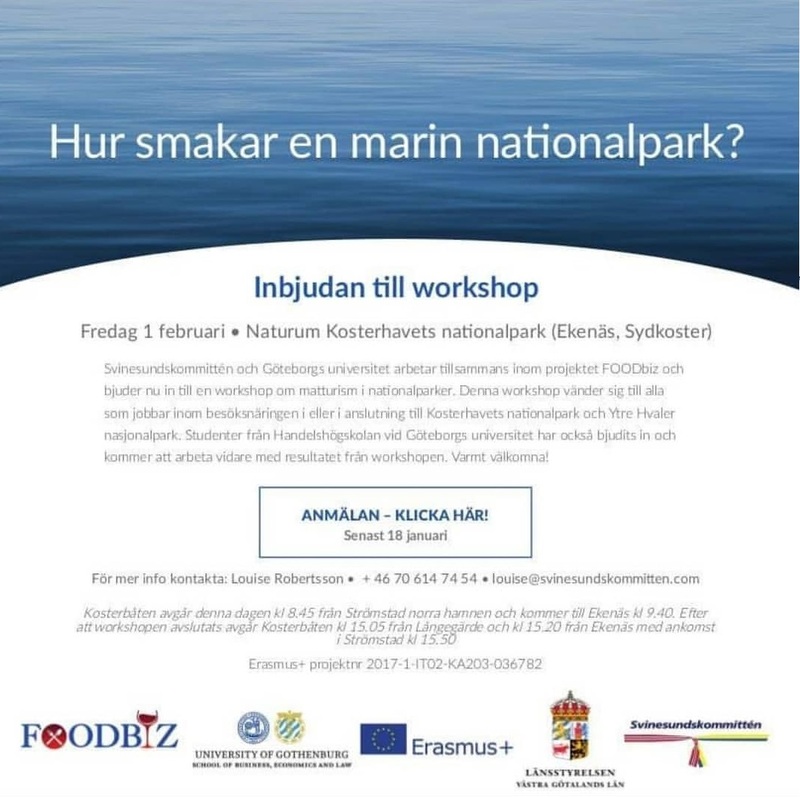 The workshop was held in Kosterhavet, Sweden’s first Marine National Park on February 1st 2019, and addressed how to the Kosterhavet and Ytre Hvaker Marine National parks could better develop their food tourism potential. 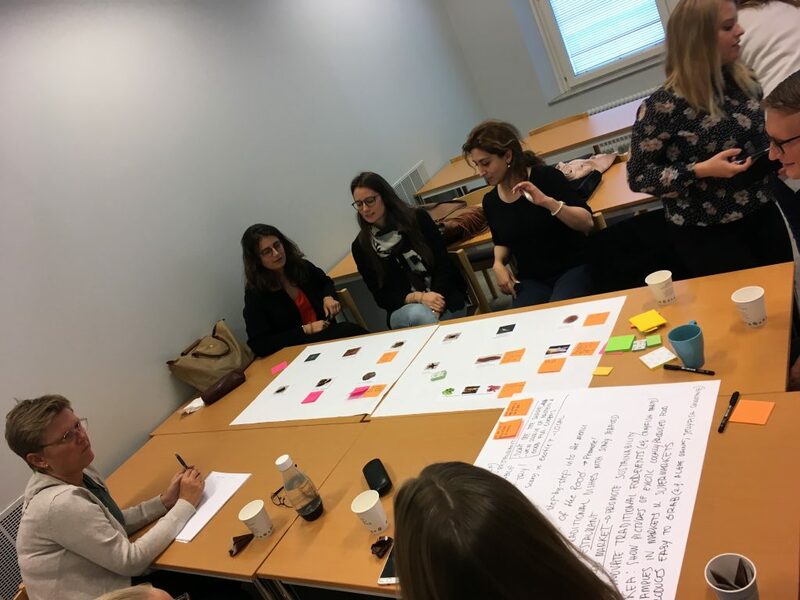 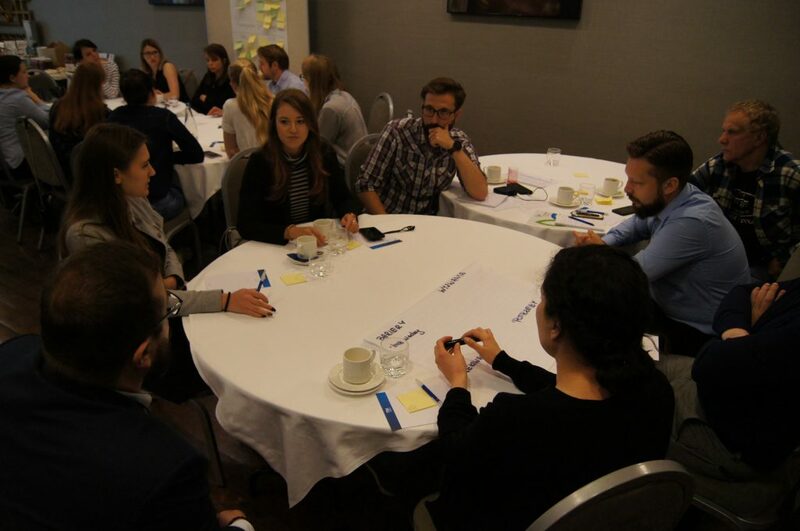 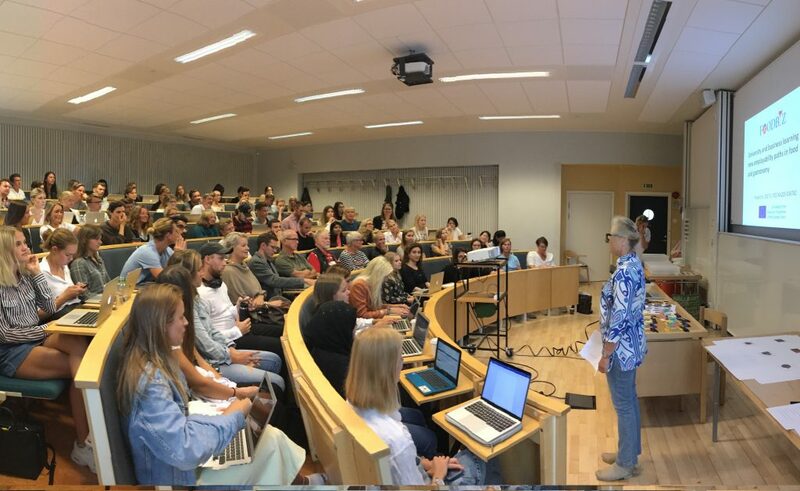 Bachelor students from the “Tourism and society: an introduction” course at the University of Gothenburg, food and tourism entrepreneurs, and public bodies within the area attended the workshop with the aim to jointly co-create potential solutions and ideas for food tourism development. 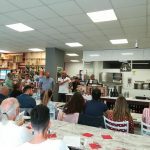 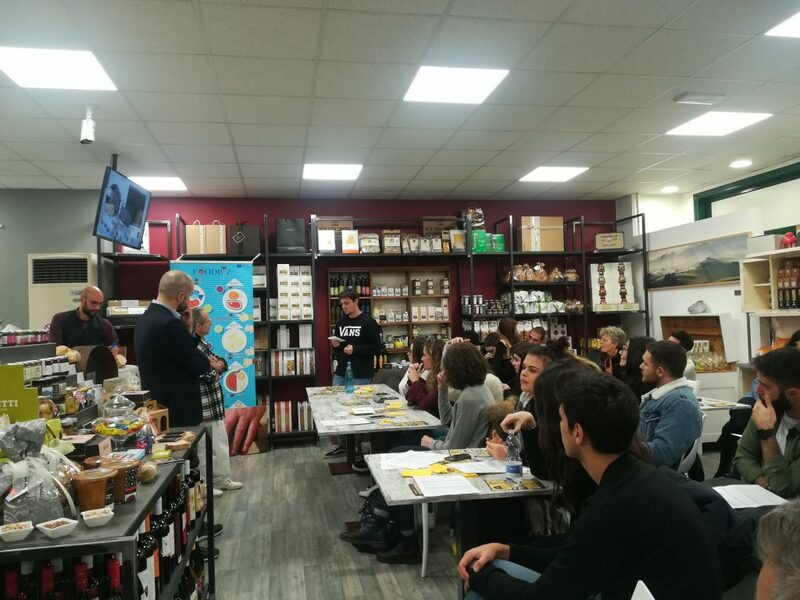 The #Foodbiz Experiential Learning Workshop by #Unimc, “VeryMarche”, took place the 28th of june at Casa Marche Mymarca Macerata. 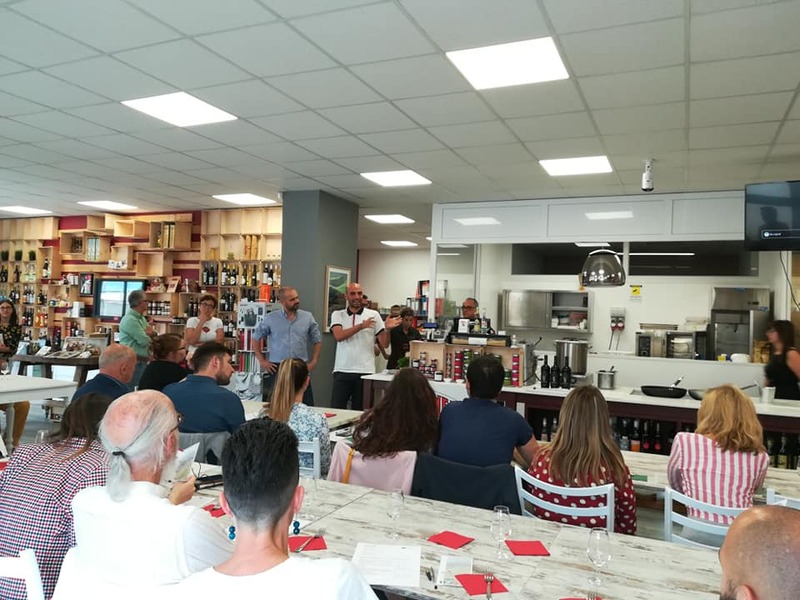 About 40 people joined the event. 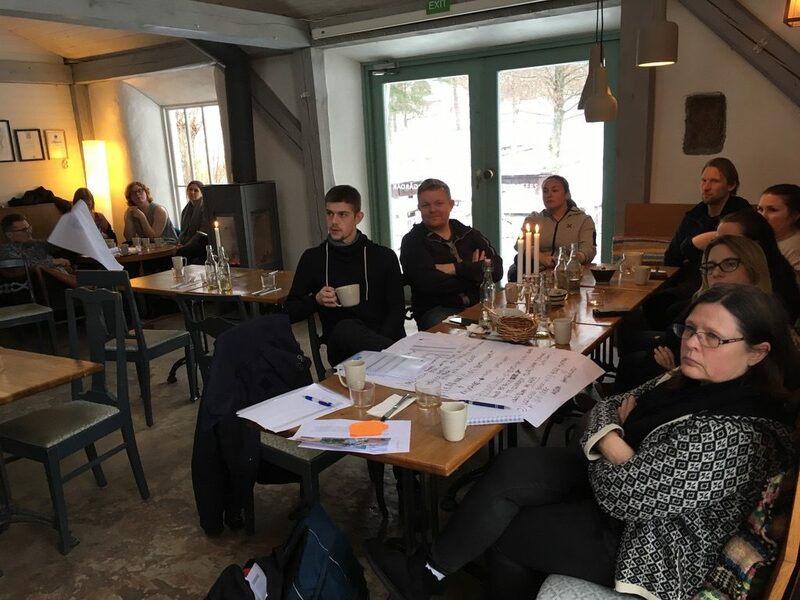 First, the participants were asked to answer to some questions: “according to you opinion, which are the 5 most representative products of the region?” They also had to put it in order from the most representative to the less one. 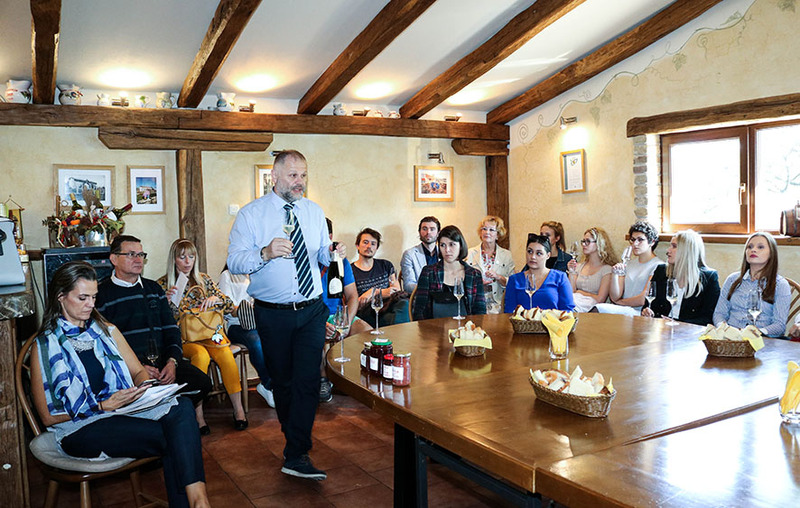 Students, teachers, agrifood and tourism entrepreneurs and institutions animated the discussion. 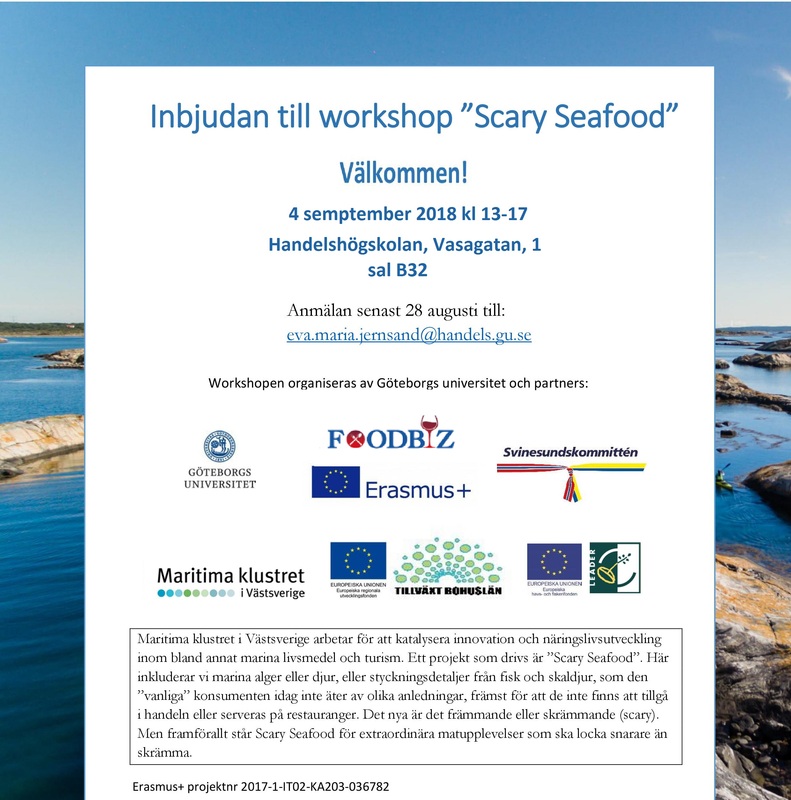 How to promote these products? 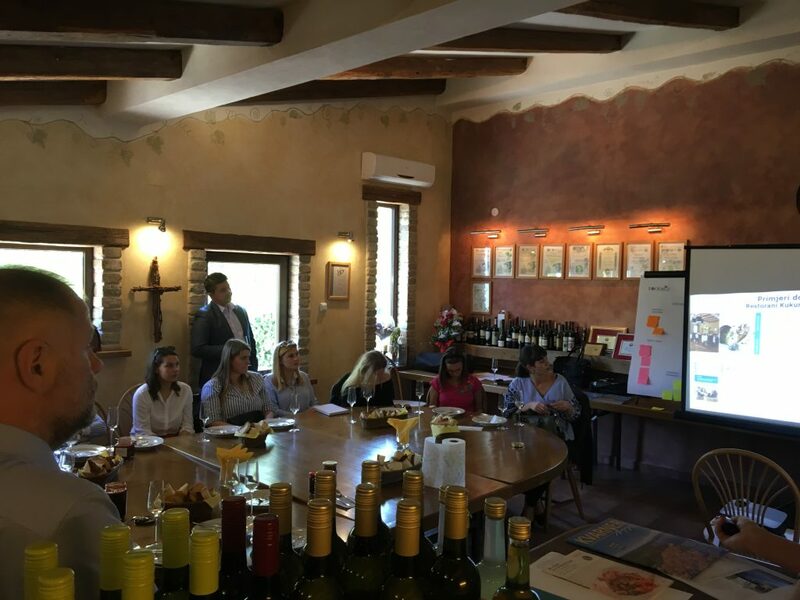 Which marketing strategies are needed to brand the region through gastronomy? 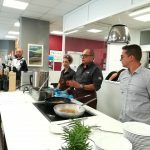 How to preserve the quality of the products? 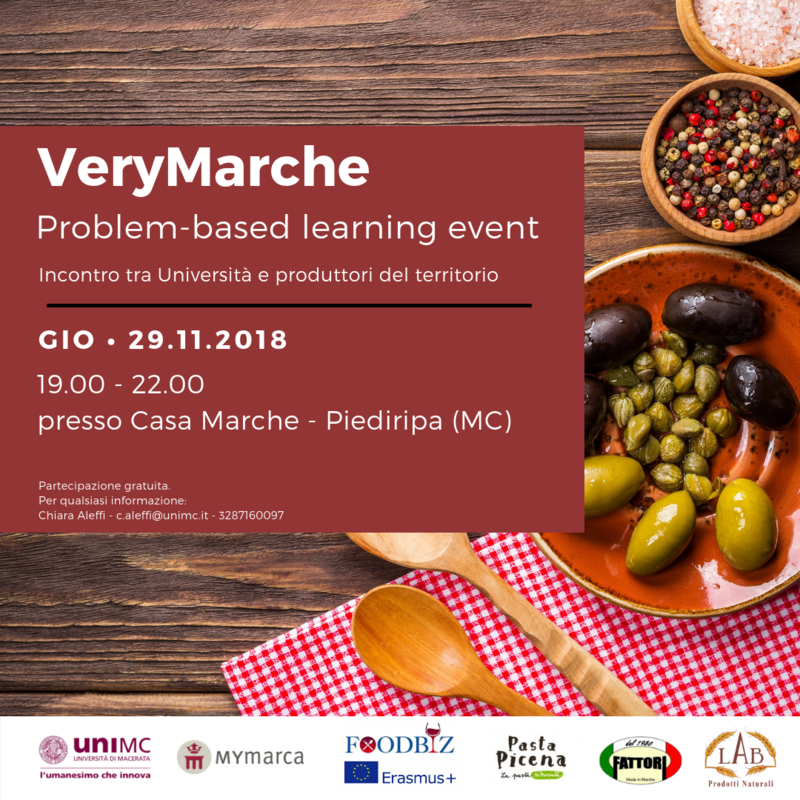 How to link the products to the territory? 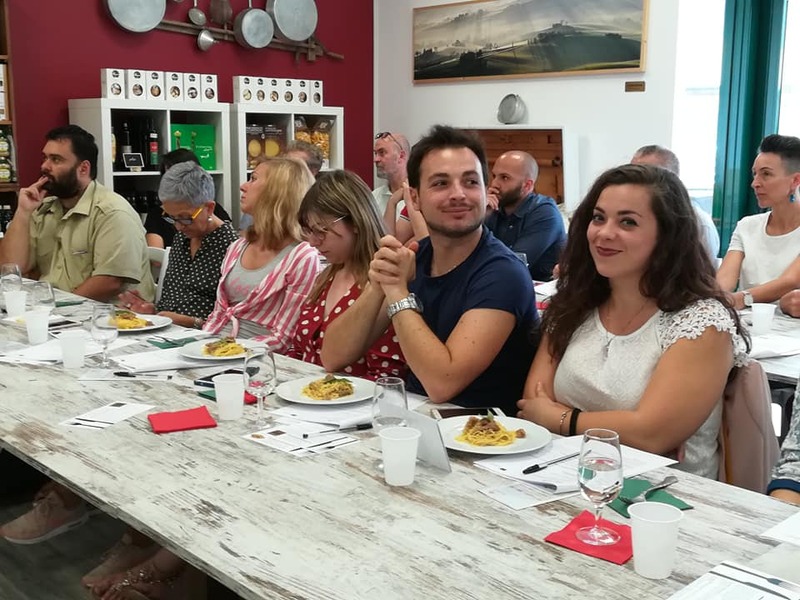 The importance of collaboration among producers to create a strong image of the region; local productions and internationalisation…only a few examples of the topics discussed! 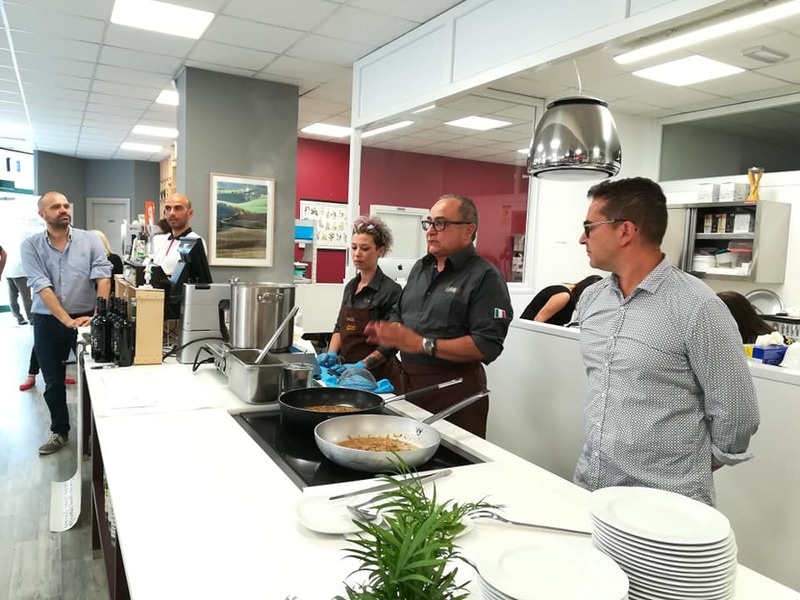 A special menu from Marche was prepared and tasted during the dinner. 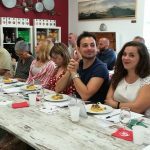 Each producer presented his own company and the product/dish served at the dinner. 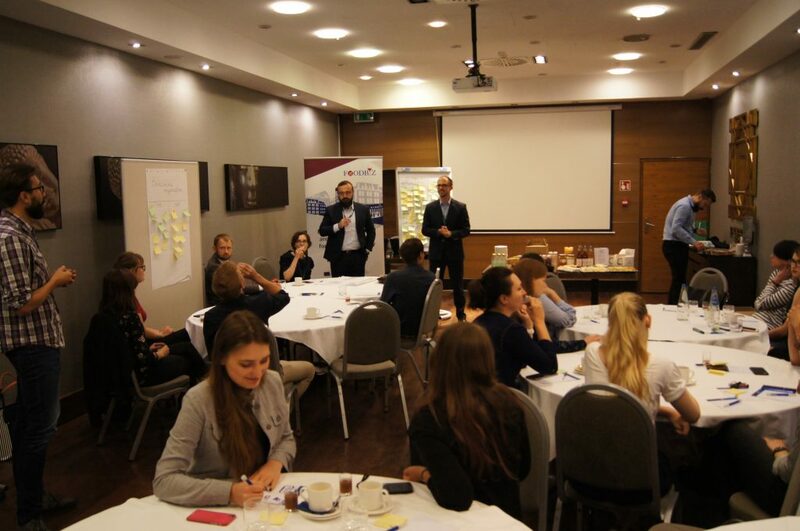 For each one there were some questions for participants, to better understand the consumer perception. 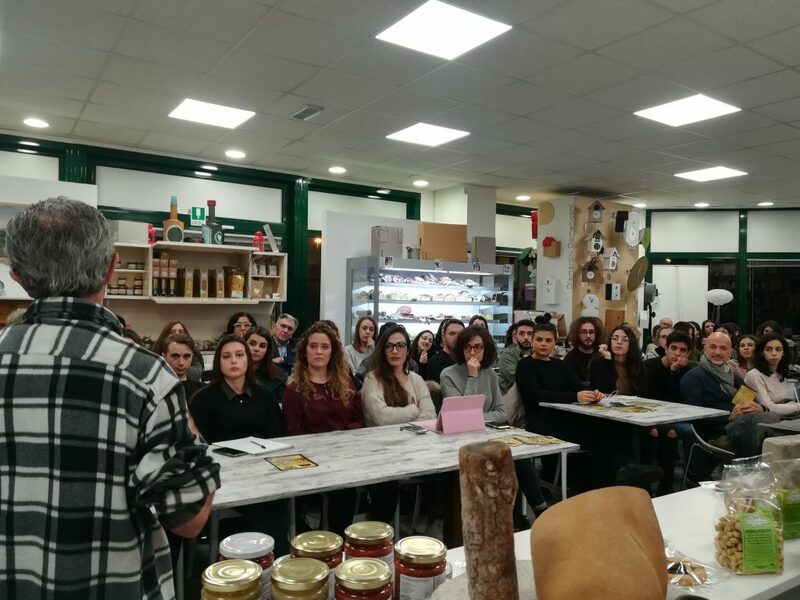 From the data collected, a preliminary analysis showed that the most representative product according to the participants is “ciauscolo” a typical creamy salami who has the PGI certification.